Today I did my first puff pastry! 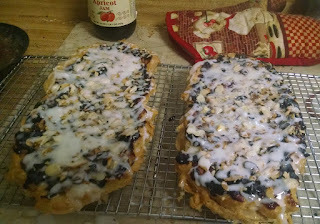 King Arthur Flour have a #BakeAlong every month and this month it was this flaky pastry with jam and icing on top. Kind of like a Danish, it looked like. They called it "incredibly easy," which, I have to say, it was definitely not. It is amazing the mistakes you can find to make the first time around. But next time I do puff pastry I will know what I am doing and it will go faster. And as for this one, it was a neat adventure and I enjoyed it. I have been wanting to make puff pastry. I have been wanting to take our Latin Mass coffee hour to the next level. I said that last Sunday to my friend Lou as we were washing dishes in the kitchen and cleaning up. I said, "Lou, I have been thinking, I would like to take our coffee hour to the next level." I loved how Lou did not laugh at me. Instead he nodded and began proposing the idea of chafing dishes which would allow us to serve scrambled eggs and other fancier dishes. Periodically we float the idea of a mimosa bar as well. That always makes everyone light up. We are making grandiose plans! And as long as I am getting puffed up here, I may as well take the puff pastry step. Not as easy as I had hoped, as I said. But interesting. The bottom layer finally came into place, not without a struggle. The puff pastry layer was not hard. It came together quickly in the saucepan. Then it went into the bowl of the World War II Mixmaster, as instructed. I added the eggs. However here is where things went off the rails. 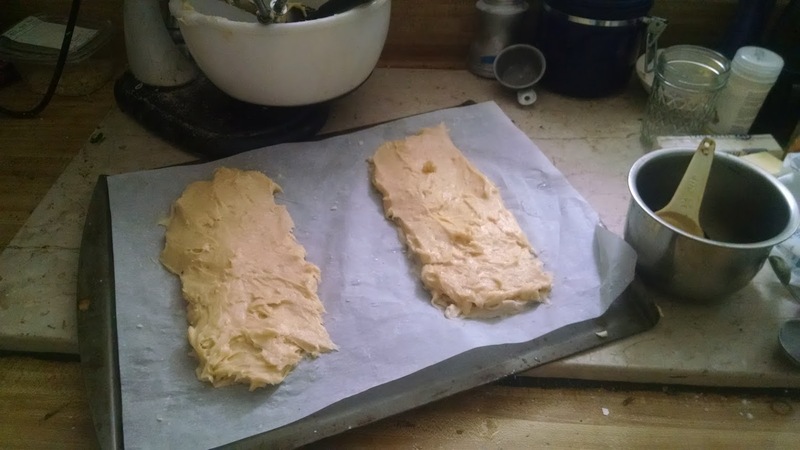 The dough was beautiful but it glopped itself into the mixers so the mixer stopped. I had to clean the dough out of the mixers with a spatula and get it into a bowl. They should have foreseen that happening, fie. 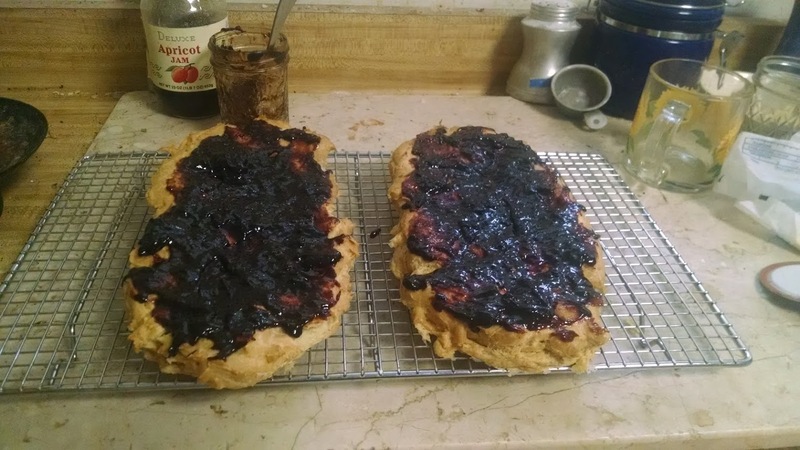 The puff pastry also did not really puff up. People who commented on the recipe said that too. Still it seemed flaky when it came out of the oven after an hour or something. 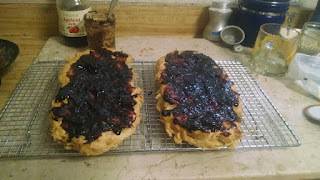 I topped it with my own trademark Blackheart Plum Jam. Then I toasted the slivered almonds and topped the pastry with them and that is what you see at the top of this post. End result, as we say here in Buffalo .... yum! I am up for the next challenge!